Professor Sarah E. Millar and her team are focused on understanding cell-cell signaling mechanisms controlling development, stem cell function and regeneration of the epidermis and organs. 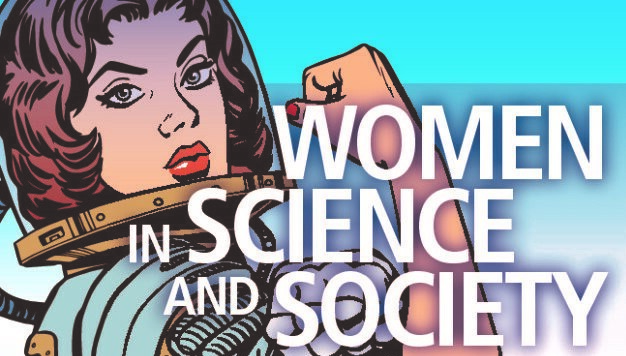 In June 2018 we were pleased to have her as a WISAS SFB829 seminar guest in Cologne, to discuss the challenges as a women in science. More information can be found here. 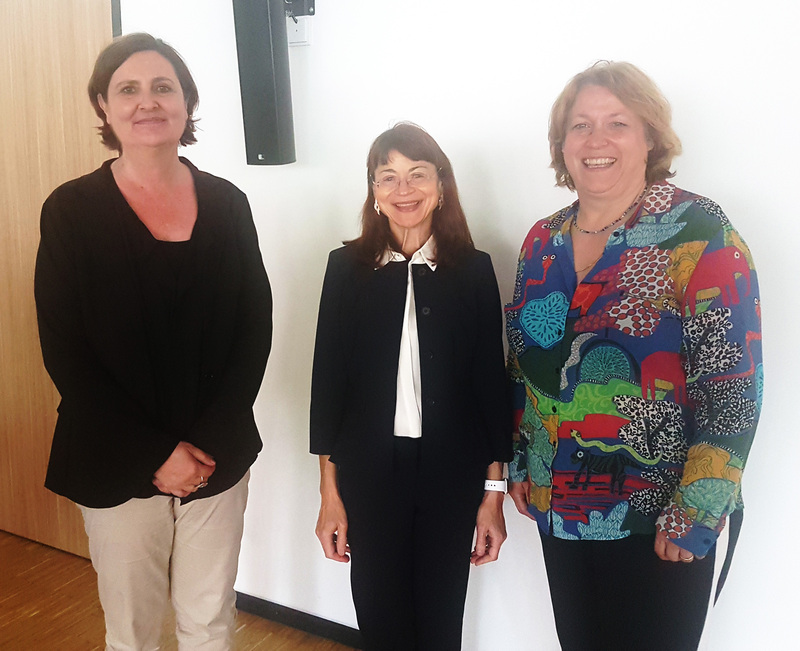 Manuela Günter, Prorector for Gender and Diversity, (on the left) with our WISAS seminar guest Prof. Sarah E. Millar from the University of Pennsylvania, (center) and Prof. Carien Niessen, Speaker of the SFB 829, (on the right) after the WISAS seminar in June 2018. The Special WISAS event, held in October 2017, took place after the Cologne Klenk Symposium and brought four successful female scientist together. Claire Higgins, Beate Lichtenberger, Ning Xu Landén and Maria Alcolea shared their exciting findings in the fields of fibroblasts, epithelial function and regeneration with the Cologne scientific community. 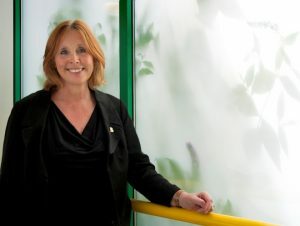 Professor Susan Wray studied for many years the regulation of uterine contractility under physiological and pathophysiological conditions. She is worldwide one of the leading physiologists in this field. In May 2017 we were pleased to have her as a WISAS SFB829 seminar guest in Cologne, to discuss the role of women in science. The complete WISAS lecture held by Susan Wray can be watched here. Professor Birgit Lane is known internationally for her work on keratins and has a long-standing interest in the function of the keratin cytoskeleton in epithelia and associated diseases. In July 2016 we were pleased to have her as a WISAS SFB829 seminar guest in Cologne, to discuss the role of women in science. 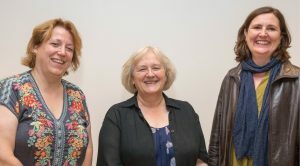 Prof. Carien Niessen, Speaker of the SFB 829, (on the left) with our WISAS seminar guest Prof. Birgit Lane, A*STAR’s Institute of Medical Biology and Skin Research Institute of Singapore, (center) and Manuela Günter, Prorector for Gender and Diversity, (on the right) after the WISAS seminar in July 2016.